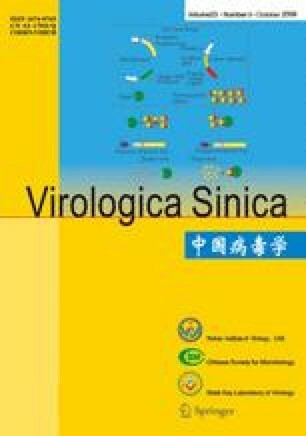 The sequence encoding an E2 main antigen glycoprotein of the C strain of classical swine fever virus (CSFV) was highly expressed in the host cell E. coli BL21-CodonPlus (DE3)-RIL using the pGEX-4T-1 expression vector and the soluble recombinant product was purified with Glutathione Sepharose TM4B by centrifugation. The soluble recombinant protein showed good immune reactions and was confirmed by Western blot using anti-CSFV-specific antibodies. Then an indirect ELISA with the purified E2 protein as the coating antigen was established to detect antibody against CSFV. The result revealed that the optimal concentration of coated antigen was 0.6 μg/well and the optimal dilution of serum was 1:80. The positive cut-off value of this ELISA assay was OD tested serum / OD negative serum ⩾ 2.1. The E2-ELISA method was evaluated by comparison with the indirect hemagglutination test (IHAT). When a total of 100 field serum samples were tested the sensitivity and specificity were 90.3% and 94.7% respectively. Specificity analysis showed that there were no cross-reactions between BVD serum and the purified E2 protein in the E2-ELISA.